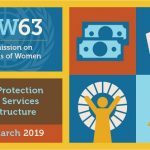 The two weeks of CSW63 in March 2019 were packed with trainings, deliberations, regional meetings, government and civil society events, and lots of networking AND socializing. 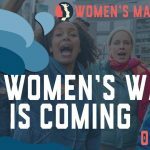 In our brief overview, we will attempt to give you a sense of how the productive and energizing sessions moved the global feminist movement forward while providing some quality time together for the ICJW delegation. On March 11, H.E. 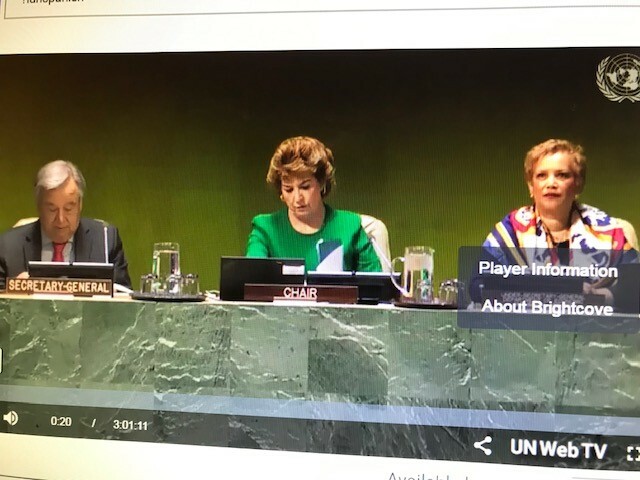 Ms. Geraldine Byrne Nason (Ireland) chaired the CSW63 opening session. She mentioned that the Commission was founded in 1947 to revise the status of women in order to reach parity between men and women in all walks of life. 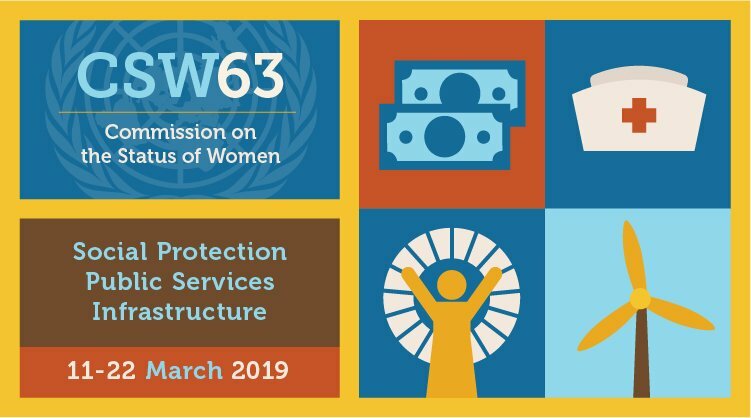 At the Beijing Conference 24 years ago, we declared that “Human rights are Women´s Rights and Women´s Rights are Human Rights.” Nevertheless it will take women 217 years to reach equity with men in pay and employment, which shows we are advancing very slowly to our goals. We heard Mr. Antonio Guterres, UN Secretary-General, who said, “For millennia, women have been systematically marginalized, ignored and silenced, in a male-dominated world with a male-dominated culture…… Today, let us be clear that it needs to change”. A number of other speakers took the floor stressing the need for change, what has already been done, and what needs to be done. It was gratifying to see that all of them, the President of ECOSOC, the President of the General Assembly, the President of the Security Council, as well as the President of UN Women, were all women. Not usually seen. Slowly, but we are inching forward. 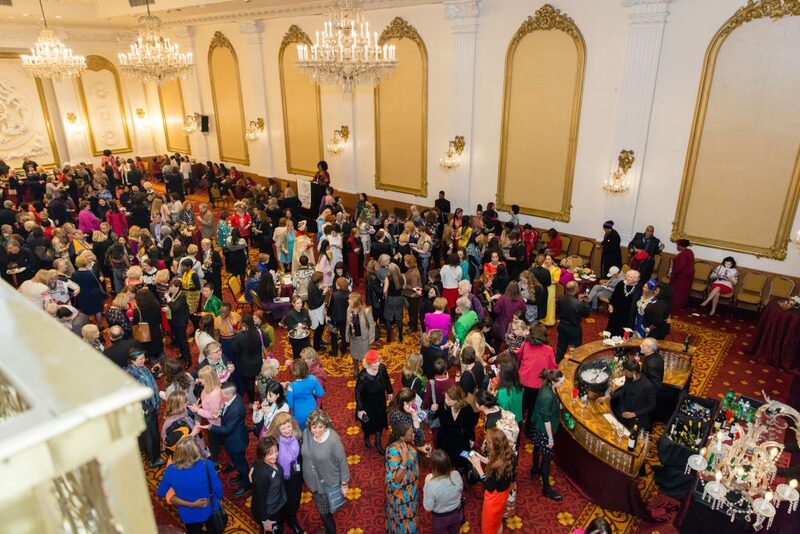 About 500 women, many in their National dress, plus a few brave men, gathered in the ballroom of the historic New Yorker Hotel for a fabulous Reception at the beginning of CSW. The co- chair of the organizing committee was Madeleine Brecher, one of the ICJW delegates to the UN and she introduced this wonderful event and welcomed us all to an evening of wine and canapés and serious networking. It was a most successful evening which no one wanted to end. This side-event highlighted the outstandingwork of women-led NGOs and women entrepreneurs in Israel.Israel is a start-up nation with bold visions and new ideas but women’s roles in it must be recognized. WePower-WeAct encourages and aids women from widely diverse backgrounds to take active roles in public and political offices. Webpals is a start-up company employing 50% multi-cultural women. There is no glass ceiling and they are recognized for their great female leadership. P51 (Parliament 51) is a global network of female leaders and influential executives who work together to promote gender equality. They use diversity to measure their success. Intuit (Israeli and Global) has over 9000 employees and has led the charge for gender equality for decades. Among their companies, 4 out of 10 of them are owned by women. These private sector groups are helping to provide the missing link in governmental policies aimed at achieving gender equality. 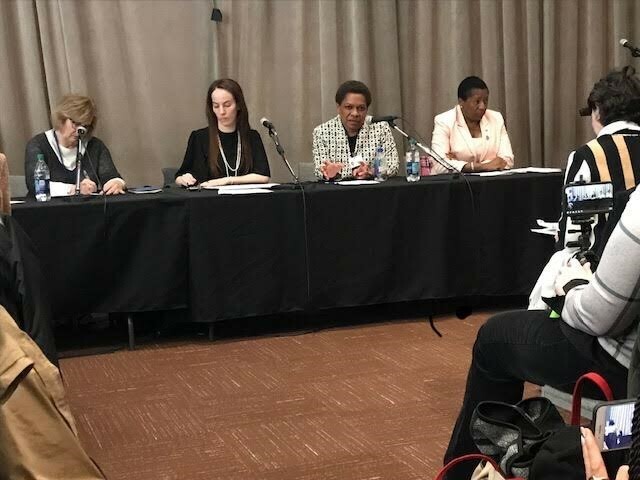 This year, ICJW’s side event was a joint effort with other NGOs as well as the Missions of Canada, Albania, Trinidad-Tobago, Fiji, Uganda and Namibia. The title of the session was Critical Mass to Gender Parity-Women in Decision-Making Do Make a Difference! The expert panelists discussed how women leaders bring about positive change, especially in the areas of social protection programs and in efforts to eliminate gender-based violence against women. Each speaker gave examples of accomplishments as a result of having sufficient numbers of women in their government, how women change the dynamics of how business is done and their motivation in joining government. This very well attended event sparked conversation and awareness of what can be achieved by women when they are “in the room” and “counted”. There is a need for more fearless women to challenge the status quo. When women comprise 50% of the world’s population, it’s staggering to believe that only 10 out of the 193 UN member nations have women leaders. Simply put, change must be accelerated! 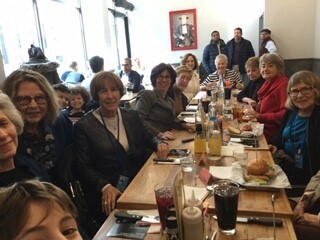 On Thursday morning, immediately after the event ICJW co-sponsored as part of CSW63, we had a group lunch. Visitors from ICJW were joined by guests from NCJW. Our companions at lunch included our president, Penny Conway of London, UK. 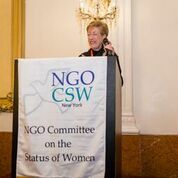 In addition, the entire ICJW NY UN team was there – Madeleine Brecher, Fran Butensky, Joan Lurie Goldberg, Judy Mintz and Sara Winkowski + surprise guest Donna Gary. Our visitors included Bea Kahn, National President of NCJW, the US affiliate of ICJW, three women from NCJW San Francisco, Stella Sayles and Barbara Zuckerberg from NY section of NCJW. All enjoyed a lunch of customized, artisanal burgers or salads – quite enjoyable if a tad noisy. Thanks to Madeleine for organizing the lunch. For the past number of years, on this very final day of the Commission meetings, an anti-Israel resolution was produced involving Israel’s treatment of Palestinian women. The great news to report tonight is that there was NO such resolution today! This was a great coup for the Israeli UN delegation and all of us.